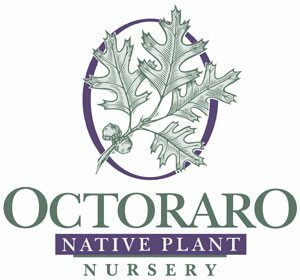 Octoraro Native Plant Nursery specializes in container-grown mid-Atlantic and Eastern regional native trees and shrubs while maintaining environmentally sustainable practices. The Pennsylvania Landscape & Nursery Association (PLNA) is the leading trade association representing Pennsylvania’s $6.8 billion green industry. The Alliance’s mission is to lead, support and inspire local action to restore and protect the lands, rivers and streams of the Chesapeake Bay watershed. 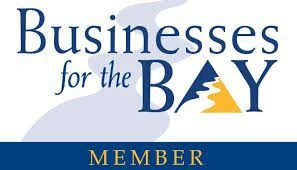 Businesses for the Bay is an Alliance for the Chesapeake Bay membership association designed by businesses for businesses to provide a forum where they can make their voices heard, share best practices, facilitate environmental stewardship volunteer opportunities for employees, potentially save money, reach social and sustainability goals, and promote environmental efforts that are important to them, their customers, and their communities. The Lancaster County Clean Water Consortium was created to promote, support and sustain the stewardship of land, water and other natural resources in Lancaster County. The purpose of the Pennsylvania Association of Environmental Professionals is to promote environmental education, research, planning, assessment, review, and management through the formation and operation of a nonpolitical multidisciplinary professional society. The Pennsylvania Association of State Floodplain Managers serves the purpose of promoting public awareness of integrated floodplain management; encouraging the exchange of ideas and information among individuals and groups concerned with floodplain management; and to keep these groups well informed of pending floodplain management legislation, regulation, and related matters in order to advance the effective implementation of floodplain management. The Pennsylvania Native Plant Society advocates conservation of native plants and their habitats and promotes the increased use of native plants in the landscape. The Pennsylvania Recreation and Park Society (PRPS) is the principal state organization promoting quality recreation and park training, networking, and leadership opportunities for those working and volunteering in the field. The Penn State Ag Council is comprised of organizations, groups, and businesses that represent a strategic agricultural or related interest in Pennsylvania. The Pennsylvania State Association of Township Supervisors is committed to preserving and strengthening township government by lobbying state and federal lawmakers and educating and informing its members through workshops, an annual conference and trade show, and award-winning publications. The Sustainable Business Network of Greater Philadelphia challenges and supports the business community to build profitable enterprises that serve community needs, share wealth, and protect the environment by being an effective resource for dynamic, independent, locally-owned businesses.